The year was marked by an unprecedented number of stellar vocal jazz releases - something in the water, perhaps? 2011 can only be described as a banner year for vocal jazz. Gretchen Parlato is blessed with one of the most mellifluous timbres in jazz, but it's her highly developed rhythmic concept that really marks her out. Like some of the great Brazilian singers, Parlato can make the bar line disappear. It helps that she's got a killing band, and together on The Lost and Found they perform the subtlest metrical shifts in the blink of an eye. Two world-class UK singers, Ian Shaw and Liane Carroll, both released career-best albums in 2011. Whether deploying his remarkable falsetto to explosive effect, or giving unexpectedly sinister twists to well-worn standards, Shaw's The Abbey Road Sessions was a captivating addition to his impressive discography. Liane Carroll's Up and Down instantly established itself as one of my desert island discs. Embracing her touchstone singer-songwriters (Laura Nyro, Tom Waits), standards (a super-deluxe arrangement of “Turn Out the Stars”) and pop songs, it contains some of her most consistently beautiful singing. Produced by Don Was, Kurt Elling's The Gate saw the singer and his long-standing collaborator, pianist Laurence Hobgood, hitting new peaks of aesthetic eloquence. From King Crimson to The Beatles, the rich complexity of Elling's four-octave baritone can breathe new life into any song. As with every release he's issued to date, The Gate has been nominated for a Grammy for Best Jazz Vocal Album. 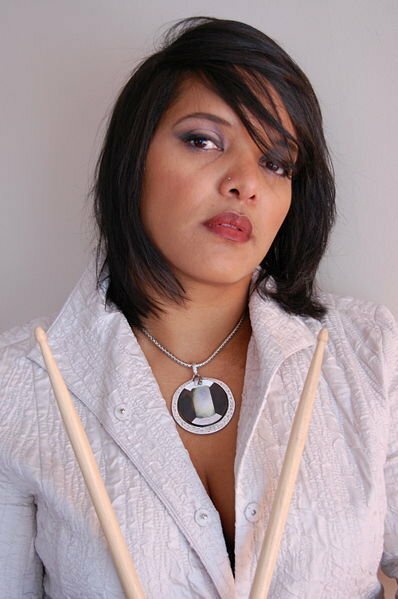 In the running for the same gong, and featuring a veritable who's who of leading female jazz performers, Terri Lyne Carrington's The Mosaic Project was similarly outstanding. As evidenced by Cassandra Wilson's cover of Al Green's “Simply Beautiful”, Carrington (pictured right) pairs singer and song with an unerring sense of rightness. Seamlessly blending the sacred and the secular, the heart-wrenching magnificence of “Hold On Just a Little While Longer” provided the resplendent centrepiece of Lizz Wright's Fellowship. A featured soloist in the London Jazz Festival's official opening bash, Jazz Voice, Gregory Porter gave one of the great vocal performances of the year with his self-penned “1960 What?” Heard in one of Guy Barker's typically sumptuous arrangements, the song was from Porter's debut, Water, which distinguished itself by becoming the first ever vocal album to be voted Jazzwise magazine's Album of the Year. 2011 Highlights: The extraordinarily powerful 'Sing The Truth' at the Barbican: vocalists Dianne Reeves, Angélique Kidjo and Lizz Wright, plus an amazingly sympathetic instrumental quintet lead by Terri Lyne Carrington. The exhilarating London premiere (also at the Barbican) of Steve Reich's tintinnabulating 2x5. Soul Rebels Brass Band's London Jazz Fest show at the QEH: Funkiest. Gig. Ever. And the all-enveloping voice of Gregory Porter at the wonderful Revoice! Festival (Pizza Express Jazz Club). 2011 Lowlight: Live jazz on TV - the lack of. Could we get some cameras into this year's London Jazz Festival, please? 2012 Recommendations: New releases from pianists Vijay Iyer (Accelerando) and Robert Glasper (Black Radio), London-based trio Phronesis (Walking Dark), tenor saxist Josh Arcoleo (Beginnings), bassist/vocalist Esperanza Spalding (Radio Music Society), the aforementioned Mr Porter (Be Good) and the ever-brilliant Christine Tobin (Sailing to Byzantium).